Terry Dennis Dickey, 61, passed from this life January 17, 2019 at his home in Keota, Oklahoma, after a brief illness. Terry was born February 11, 1957 in Henryetta, Oklahoma to Jack Junior Dickey and Bessie Alberta Edwards Dickey. 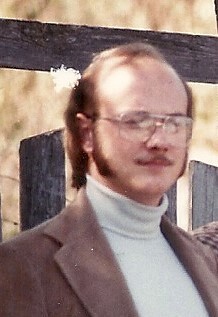 Terry grew up in Bixby and attended Bixby schools, graduating in 1975. After high school, Terry made his home in Bixby, but later lived in various other locations including Tulsa, Houston (Texas), Eufaula, Stigler, and Keota. He did different types of work over the years, including a time when he was self-employed doing furniture upholstery. He enjoyed cars, singing, being creative, playing computer games and spoiling his dogs. Terry was preceded in death by his parents; sister, Sharon Gail Dickey; brother, Darrel Keith Dickey; paternal grandparents, Truman Thomas (“T.T”) and Mary Dickey; and maternal grandparents, Charley and Vada Edwards. Terry is survived by his brother, Steven and wife, Brenda of Glenpool; nephew, Andrew and wife, Paige of Tulsa; his beloved dog, Saki; and a host of uncles, aunts, and cousins, as well as friends. In lieu of flowers, memorial donations may be made to Animal Aid of Tulsa (animalaid.org). Memorial Services for Terry will be held at 11:00 a.m., Saturday, February 2, 2019 at Integrity Chapel with Pastor Jeff Sloan officiating.